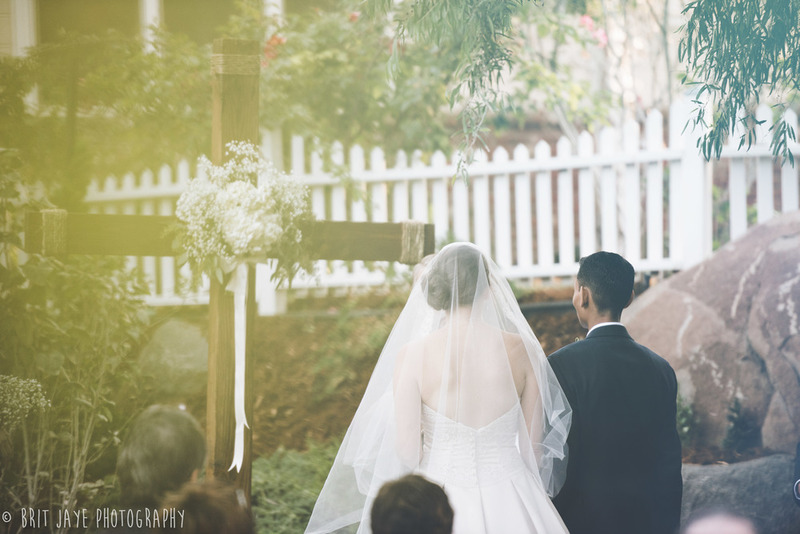 I am so excited to share the full story from Jessica & Josue’s gorgeous private estate wedding in San Diego, CA. These two lovebirds put this fantastic day together themselves- DIYing almost everything! Jessica & Josue’s many hours pouring over Pinterest absolutely paid off- this travel inspired wedding is so good- you will want to re-pin every perfect detail! Every moment from this travel inspired San Diego wedding story was so fantastic! Jessica & Josue are travelers at heart, and love to adventure around the world together. Their travel inspired wedding was so absolutely fitting. In addition to that- this bride & groom also wanted to make sure their day was unique to them. They incorporated a lot of fun old traditions from both of their cultures into their wedding day. Doing this really helped celebrate who they are as individuals, and also as a couple! In true New Orleans style- they baked charms into the wedding cake, and everyone pulled them out together and got to keep the charm they got. It was such a fun surprise, and guests had a great time participating in the festivities with the couple! Enjoy all the amazing moments from this gorgeous and unique San Diego wedding! A huge congratulations to the Mr. & Mrs.! Wishing you a happiest ever after!